I have finished all my exams and since the end of January, I have started working on my thesis project. It is an interesting feeling, you are happy you are almost at the end of your studies, but on the other hand, it’s a bit bitter-sweet since you are also at the end of a lovely period of your life and preparing for whatever comes next. 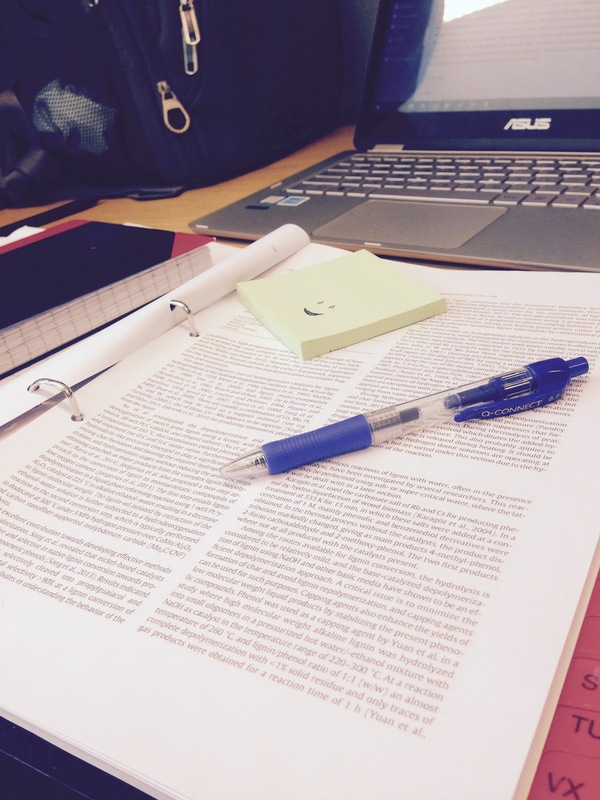 It is a bit stressful I must say, choosing where you want to do your thesis, the topic, the supervisor… But to spend this period of time working on a project that finalises your master studies as calm and sane as possible, you need to prepare yourself. My advice would be to start looking for a topic rather early if you have a specific division or area in mind for where you want to do it. If you don’t know yet, just talk to different people and attend some of the fairs organised, it might help you make a decision. When you start, be organised and make a time plan with deadlines, but keep it real. Keep in mind that things will not always go your way and that is okay. Don’t stress too much and don’t forget to take care of your health. Start writing your thesis early because as time goes by, you may forget some of the things you already did. And most importantly balance your time, don’t forget to enjoy yourself, have fika regularly 🙂 and hang out with friends and your classmates since you might go your separate ways. Jättefint post, jag älskar att läsa din blogg Nina!